So, What's New In Our Universe? Since 1974 Theodore Landscheidt has made long-range forecasts of precisely defined classes of energetic X-ray flares and strong geomagnetic storms. A forecast experiment covering the period 1979 - 1985 was checked by the Space Environment Center, Boulder, Colorado, and the astronomers Gleissberg, Wöhl, and Pfleiderer. The forecasts reached a hit rate of 90 % even though solar eruptions occur at very irregular intervals. A forecast in 1984 that the sunspot activity would get weaker past 1990 also turned out to be correct. The just finished sunspot cycle (23) reached only mean level - although a panel of experts had predicted a sunspot maximum as high as in the preceding cycles. Cycle 23 did last a bit longer than Cycles 21 & 22, and in late July 2006 the first signs of the awaited Polar Reversal began, indicating the ending stages for Cycle 23. Dependable forecasts of the Sun's activity, based on solar cycles, made it possible for Landscheidt to correctly predict climatic phenomena years ahead of these events. His forecasts include the end of the great Sahelian drought; as well as a period of drought in the U.S.A. around 1999 , confirmed by a maximum in the Palmer Drought Index; the last five extrema in global temperature anomalies; the last three El Niños; and the course of the last La Niña. Extreme River Po discharges, beginning in October 2000, were predicted 7 months before the event. Theodore Landscheidt, (born in1927 in Bremen, Germany, died on May 20, 2004) Studied philosophy, languages (English, French, Italian, and Spanish), law, astronomy, and natural sciences, and after graduation from Göttingen University in 1955, has done independent interdisciplinary work covering solar activity, solar-terrestrial relations, geophysics, climatology, and cycle research. In 1983 he founded the Schroeter Institute for Research in Cycles of Solar Activity in Lilienthal, near Bremen where Schroeter had erected the greatest astronomical observatory on the continent and assisted by Olbers and Bessel, organized the search for the missing planet between Mars and Jupiter. Elected member of the American Geophysical Union, the New York Academy of Sciences, the European Science and Environment Forum, the European Academy of Environmental Affairs, and the Wittheit zu Bremen. Director of the International Committee for Research in Environmental Factors of Brussels University. In 1992 recipient of the. Award of the Edward R. Dewey Institute of Cycle Research, California, in recognition of "outstanding accomplishments in the field of Solar Cycle Research", and for "many contributions to the study of solar-terrestrial cycles." Karim Khaidarov, Bourabai Research KAZAKHSTAN - Dedicated Site. Paul D. Jose: Sun's Motion and Sunspots (1965) The Astronomical Journal, Vol. 70, Number 3, April 1965; P. 193-200. Landscheidt, T. (1976): Beziehungen zwischen der Sonnenaktivität und dem Massenzentrum des Sonnensystems. Nachrichten der Olbersgesellschaft 100, 2-19. Landscheidt, T. (1986 a): Long-range forecast of energetic x-ray bursts based on cycles of flares. In: Simon, P. A., Heckman, G. und Shea, M. A., eds. : Solar-terrestrial predictions. Proceedings of a workshop at Meudon, 18.-22. June 1984. Boulder, National Oceanic and Atmospheric Administration, 81-89. Landscheidt, T. (1986 b): Long-range forecast of sunspot cycles. In: Simon, P. A., Heckman, G. und Shea, M. A., eds. : Solar-terrestrial predictions. Proceedings of a workshop at Meudon, 18.-22. June 1984. Boulder, National Oceanic and Atmospheric Administration, 48-57. Landscheidt, T. (1987): Long-range forecasts of solar cycles and climate change. In: Rampino, M. R., Sanders, J. E., Newman, W. S. und Königsson, L. K., eds. : Climate. History, Periodicity, and Predictability. New York, van Nostrand Reinhold, 421-445. Landscheidt, T. (1988): Solar rotation, impulses of the torque in the Sun's motion, and climatic variation. Climatic Change 12, 265-295. Landscheidt, T.(1990): Relationship between rainfall in the northern hemisphere and impulses of the torque in the Sun's motion. In: K. H. Schatten and A. Arking, eds. : Climate impact of solar variability. Greenbelt, NASA, 259-266. Landscheidt, T.(1995): Global warming or Little Ice Age? In: Finkl, C. W., ed. : Holocene cycles. A Jubilee volume in celebration of the 80th birthday of Rhodes W. Fairbridge. Fort Lauderdale, The Coastal Education and Research Foundation (CERF), 371-382. Landscheidt, T. (1998 b): Solar activity : A dominant factor in climate dynamics. Landscheidt, T. (1999 a): Solar activity controls El Niño and La Niña. Landscheidt, T. (1999 b): Extrema in sunspot cycle linked to Sun's motion. 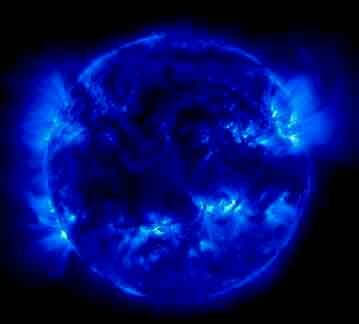 Solar Physics 189:413-424. Landscheidt, T. (2000 a): Solar forcing of El Niño and La Niña. European Space Agency (ESA) Special Publication 463, 135-140. Landscheidt, T. (2000 b): River Po discharges and cycles of solar activity. Hydrol. Sci. J. 45:491-493. Landscheidt, T. (2000 c): Sun's role in the satellite-balloon-surface issue. Landscheidt, T. (2000 d): New confirmation of strong solar forcing of climate. Landscheidt, T. (2000e): Solar wind near Earth: Indicator of variations in global temperature. ESA-SP 463,497-500. Landscheidt, T. (2002): El Niño Forecast Revisited. Back to the Sun Made Me Do It!! !